The Warehouse07549020664work Shop - GiftThe Warehouse in Hemsby near Great Yarmouth, a family run shop selling toys, household goods, fancy goods, toiletries, gifts and tools. Perfect for all your holiday needs. Take the A149 out of Great Yarmouth signposted for Caister-on-Sea and follow the signs through to Hemsby. 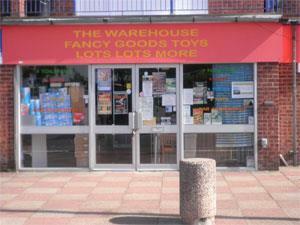 The Warehouse is located on Beach Road, take a right turn at the mini roundabout on arrival in Hemsby.